While you’re waiting for transit to come along the Atlanta BeltLine, be sure to give your feedback on potential transit routing at one of the upcoming community meetings. Currently in year one, phase one of its 2030 Strategic Implementation Plan (SIP), the overarching project priority is light rail transit on the east and west corridors. Ultimately, the City of Atlanta and the Atlanta BeltLine intend o integrate the Atlanta Streetcar and Atlanta BeltLine transit lines into a unified system. Up for public input through the end of October, the BeltLine’ west transit routing options include MARTA connectivity on its Green Line and its Red and Gold Lines. Along the Green Line, routes for consideration will connect to Ashby or Bankhead stations. Alternatively, an infill station – a stop constructed along a live rail alignment – could be built on Joseph E. Boone Boulevard. Similarly, an infill station is under consideration at Murphy Avenue sandwiched between the Oakland City and West End stations on MARTA’s Red and Gold Lines. Of the numerous alternative routes under consideration, transportation planners will have to balance sections of the final route being on a single track or gaining the ability to double-track at the street level – requiring the light rail vehicles to deal with road congestion, much like the soon-to-be launched Atlanta Streetcar. 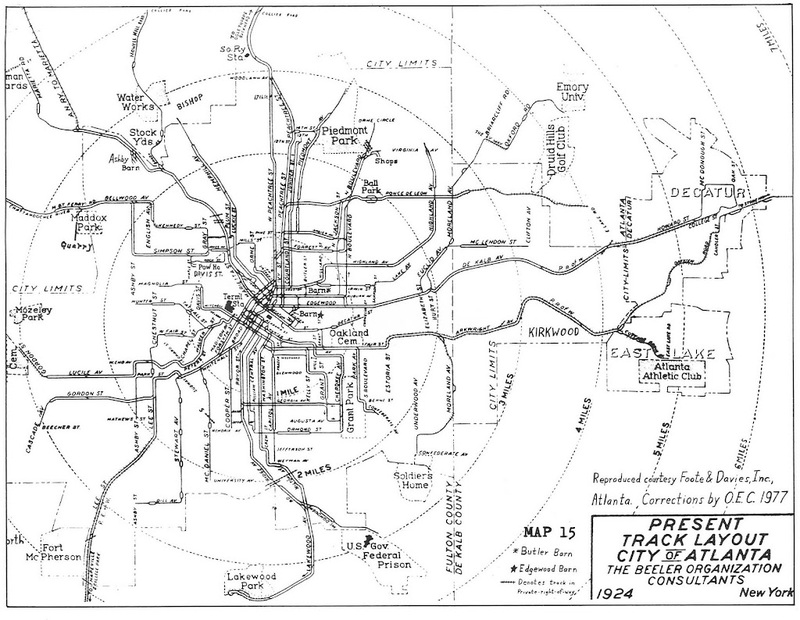 By the way, the last time the Atlanta City Council was asked to approve a streetcar plan with various phases by the Atlanta BeltLine Inc., the action was tabled until the city could see the impact and results of the east-west Atlanta Streetcar. Atlanta Mayor Kasim Reed has pledged that the streetcar will begin operating by the end of the year. Note to readers: Saba Long provides external and internal communications strategy for MARTA and other organizations. Joe Seconder, getting bike lanes is hard enough, but streetcars would be a boom for the businesses along the corridor. writes_of_weigh Georgia Power and its predecessors owned and operated the streetcar system from 1902 until the last one ran in 1949. They were glad to get out of the transit business because of the chronic labor union problems, and I strongly suspect they have no intention of returning to the business.